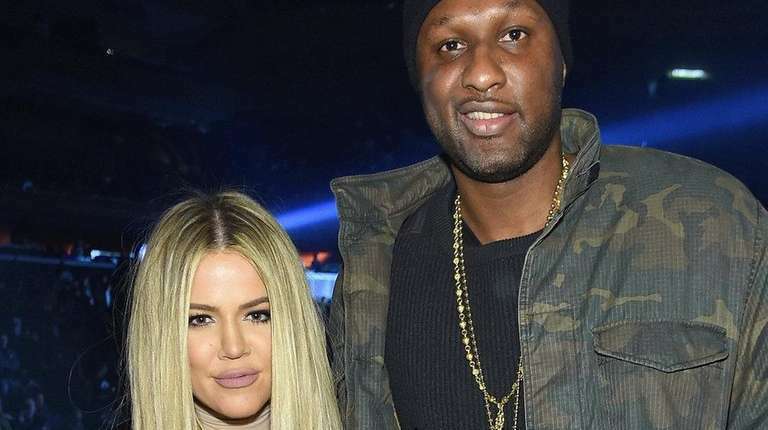 Reality-TV star Khloé Kardashian commiserated with fans on Twitter on Tuesday, following a report that her estranged husband, Lamar Odom, had been removed from an airplane while apparently intoxicated. Kardashian — who refiled for divorce in May after withdrawing an earlier petition when Odom fell critically ill at a Nevada brothel in October — tweeted a sad-face emoji, prompting responses from some of her 21.1 million followers. Former Los Angeles Lakers and Los Angeles Clippers player Odom, 36, has a history of drug abuse and troubled behavior, including the reported three-day cocaine binge that resulted in a coma and months of recovery. TMZ.com said Odom had been drinking heavily at a Los Angeles International Airport lounge Monday before boarding a Delta red-eye bound for New York. Citing two unnamed first-class passengers, the website said that as the plane was preparing for takeoff, Odom vomited twice, including in the galley. Flight attendants gently escorted him off, TMZ said, but Odom returned after 10 minutes while the plane was being cleaned and was removed once again. “We never received a call about this at all,” airport police Officer Rob Pedragon told the Los Angeles Times, adding he did not know whether Odom removed himself or was taken off by crew. A Delta representative did not confirm the incident, saying that the airline “takes customer privacy very seriously.” Odom’s divorce attorney could not be reached for comment, the paper said.